Get rid of the junk food! This includes (but not limited to): regular and diet soda, cookies, chips, crackers, candy, white breads and pastas, fruit juice, sugary cereal, condiments like ketchup, mayo, ranch and other fattening/sugary dressings and marinades, fast food, frozen dinners and most packaged goods. Start making your own meals from wholesome lean proteins, veggies, fruit and healthy fats. Basically, eat as close to natural as possible! Cut out the alcohol. It shuts down your metabolism, promotes fat storage and breaks down muscle tissue. It’s basically treated by the body as a toxin… If you’re serious about getting in shape, not drinking won’t be a problem. Start exercising! The trick is to find something you enjoy so that you will actually DO IT. 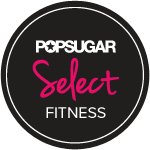 There are SO MANY options, some of which include: weight lifting, pilates, yoga, cross fit, kickboxing, mixed martial arts, powerlifting, olympic lifting, jogging, cycling, spin, zumba, interval training, jazzercise, jumping rope, dancing, running, hiking, mountain climbing, swimming… the list goes on!! Develop patience and a positive attitude if you don’t already have them! You WILL have set-backs and losing weight/getting fit WILL take time. You will occasionally cheat on your diet, you will miss a workout, you will stumble, you will make mistakes… you’re human! Nothing worth having ever comes easily… if it WERE that easy, everyone would be in shape! Know that you are only a failure if you QUIT. So don’t quit! You will regret it in the long run! Surround yourself with people who support you. There is nothing worse than having negative and/or jealous people around when you are trying to make a healthy, positive change to your life. There WILL be people you THOUGHT were your friends try to drag you back to your old, unhealthy ways. They might tease, taunt or grill you for your new habits. Some people can’t handle change. If you find that your healthy habits are being mocked or demeaned by those around you … ask yourself why your ‘friends’ would want you to go back to being unhealthy. Do they not understand the sudden change? If so, explain to them why you’re doing it… Or, are those friends just jealous? If so, CUT THEM OUT OF YOUR LIFE! Plan ahead! If you fail to plan, you plan to fail. Prepare your meals and workouts in advance. Always keep workout clothes, a water bottle and protein powder with a shaker cup in your car so you never have an excuse not to hit the gym. Always carry an apple, a serving of almonds in a ziploc baggy and a packet of tuna with you.. that way you never have an excuse to hit the vending machines or burger joint! Set realistic goals and track your progress! Keep a journal log of your workouts, your food intake and your stats each week so you can track your progress easily! 1-2 pounds of weight loss per week is a reasonable and healthy goal (depending on your current weight). The scale is not always a good indication of your progress though! Numerous factors can affect the number that are unrelated to fat gain/loss. The mirror, pictures, the way your clothes fit and your measurements are better ways of tracking progress! Breathe properly and keep your core tight during all movements. Move quickly from one exercise to the next. When the muscle begins to burn, do an additional 2-3 reps. (if I say 15 reps, it should be burning by about rep 12). Go as heavy as you can while maintaining proper form (remember, we don’t want an injury). ***REMEMBER LADIES:: Lifting weights will NOT make you bulky or manly. Women do not have the levels of testosterone necessary to get bulky, so do not worry about lifting heavy!!! Women bodybuilders use steroids, you do not.. so don’t stress. Don’t have access to a gym? You can do Plyometric/Bodyweight workouts! So yeah, hope I could help.